Beauty and fierceness are one of the most powerful combinations anyone can handle. Put it together with a really intricate and colorful pattern in velvet and we’ve got a strong candidate to elevate any interior design to the next level giving it personality. 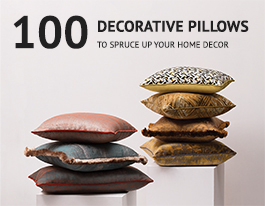 This Eclectic Pillow blends well with any home décor theme while attracting attention to themselves.